Unpopular? Not winning elections legitimately? Can’t force self-reliant voters to surrender their liberties? More and more, finding yourself out of power? Sow a little chaos, violence and distraction. “Cause a crowd…” from South Of The Border. If things are really going your way, there will be some gunned-down martyrs… All just before the midterms which is a pivotal referendum on a) following thru with Trump or b) going back to the Obama/Hillary “transformation” into Venezuela. The latter sounds like something George Soros (and family) could get behind. In collusion with Aunt Nancy. It IS most definitely something the most prominent figures of Leftwing DC and Hollywood ARE behind. 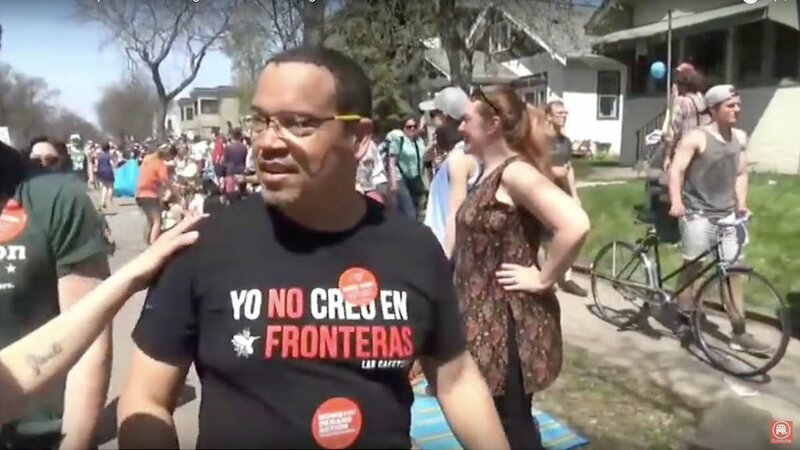 Like all good Dems, DNC Deputy Chair Keith Ellison doesn’t believe in borders…except his own. That’s Dem privilege. If there is one thing that motivates today’s Dem Party, it is Selective Outrage. 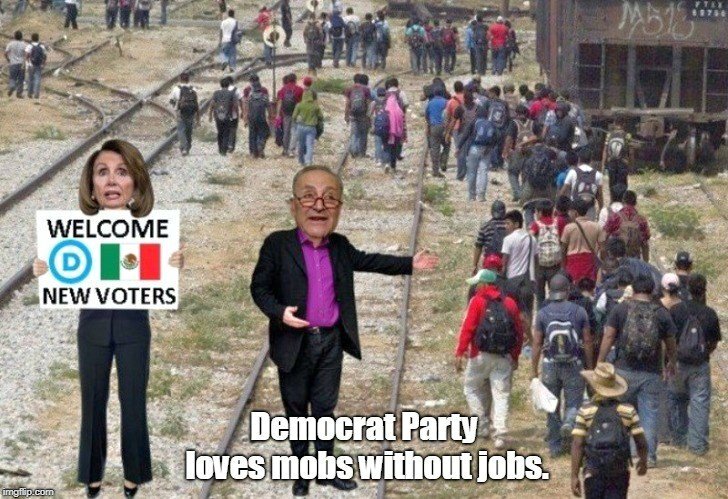 Some call it hypocrisy, but Dems are way beyond that. These are not fringe kooks sending poison through the mail or “lone wolves” shooting up Congressional ballgames & places of worship but the most prominent figures in DC and Hollywood. 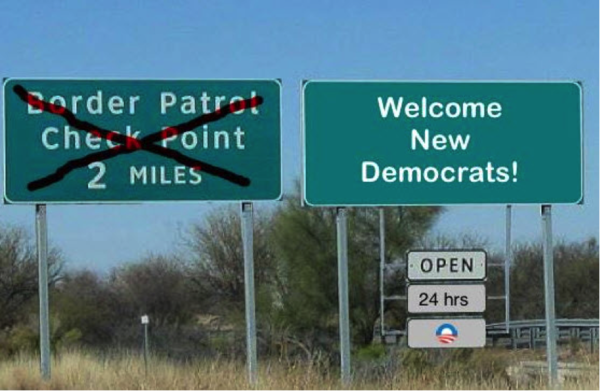 This is official Dem Party policy. And whadya know! Not a word of caution, reprobation or restraint from anywhere in their ranks. Until, until…. This week as midterms approach (along with a manufactured mob of paid border crashers), a feeble-minded loon, most likely prodded by forces yet to be determined, sends out dud bombs to prominent Democrats. OUTRAGE from Hillary’s sensible, innocent Basket of Adorables! Calls for “unity,” “civility,” “the American Way” coming out of the same mouths previously applauding violence and disruption as justified means to their noble ends. After all, we’d all be living in Woodstock Nation were it not for Trump’s hate speech! Then, laughably, the next day the MSM flagship NY Times publishes a shameless, delectable piece on assassinating Trump. Whoops. May the only explosion be that of the proverbial cigar and rotten eggs permanently splattered all over the face and front of the Democratic Party and its mindless enablers. How gratifying would it be to see an overwhelming popular clamor from decent folk of all persuasions to Build The Wall! in response to the undisguised treachery of a desperate Dem Party vanguard. 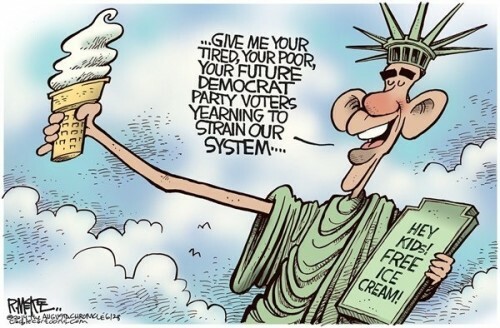 And a total rejection of what has become The Dem Way, very akin to The Chicago (Mafia/Gangster) Way. This is still Obama’s Transformation we’re pushing back. One asks, again as in 2016: are there enough Americans repelled by the Dem idea of politics? Are you out there: you millions who consider yourselves autonomous individuals, not members of this or that obedient ID group (aka voting bloc)? May that mysterious Silent Majority speak again as when it sent Hillary permanently to her Chappaqua liquor cabinet. Fervent prayers that we continue on the hopeful path of real progress miraculously offered us in 2016. Time was when Barack and Donald were in total agreement. Except, like on everything else, Barack was lying.